Brilliant mahogany color. Aromas and flavors of stewed black fruits, ground peanuts, swiss cheese, and pancake syrup with a lightly tannic, crisp, fruity sweet full body and a searing, thought-provoking, long finish with shades of chocolate covered caramel and peanut butter, molasses, candied peanuts, and dried pineapple finish. A super-rich and full bodied whiskey that will play well in high-end cocktails. 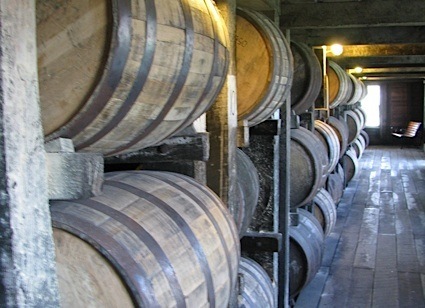 Bottom Line: A super-rich and full bodied whiskey that will play well in high-end cocktails. 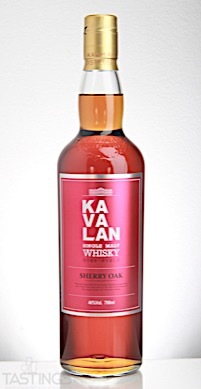 Kavalan Sherry Oak Single Malt Whisky rating was calculated by tastings.com to be 94 points out of 100 on 8/22/2017. Please note that MSRP may have changed since the date of our review.